VOXPRO CO-FOUNDER DAN Kiely has backed a crowdfunding bid by a Kim Kardashian-approved online marketplace for vintage fashion items. Open for Vintage, which was founded in 2016 by Irish entrepreneurs Colin Saunders and James Loftus, provides a platform for independent vintage boutiques to sell clothing and accessories online. The London-headquartered startup recently launched a campaign on UK equity crowdfunding site Crowdcube to raise £150,000 (€167,000) to grow the business. Kiely has contributed to this round in return for shares in the company. Members of the public can also take part in the crowdfunding campaign. Kiely recently sold Voxpro, the Cork-based outsourcing firm he set up with his wife Linda. The couple shared a cash windfall of around €40 million as a result of the sale. A spokeswoman for Open for Vintage told Fora that a “big chunk” of the funding so far had been committed by Kiely. Open for Vintage will only receive the funding from the Voxpro co-founder and other investors on Crowdcube if it hits its investment goal within 30 days of launching the campaign. If the crowdfunding campaign is successful, the cash will be used to upgrade the Open for Vintage website with new features and to promote the online platform in new markets. The startup has claimed that current and former executives from Apple, Burberry, H&M and Tesco have also previously backed the business. The company would not reveal any further details about other investors. Since the website was first launched last year in the UK and Ireland, Open for Vintage has expanded into 12 new countries. The startup, which has five staff on its books, now has 65 boutiques that sell goods through the online marketplace. The company has over 10,000 items for sale on its website, including pre-owned clothing, jewellery and watches. 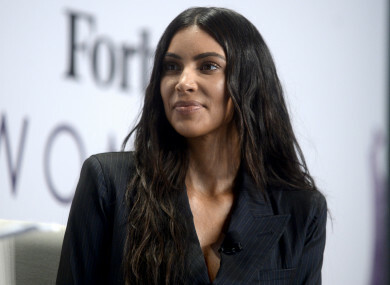 Earlier this year, a stylist for Kim Kardashian used the website to buy a selection of fashion items, including a vintage 1980s Escada skirt. Fashion models Hayley Baldwin and Daisy Lowe have also sourced vintage items using the service. Email “Voxpro's founder has backed a Kim Kardashian-approved online vintage fashion store”. Feedback on “Voxpro's founder has backed a Kim Kardashian-approved online vintage fashion store”.